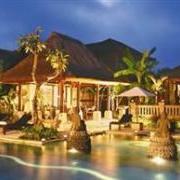 Save up to 35% off rates at Tepi Sawah Villas in Bali when you make a direct online reservation. After applying the discount, rates are USD80 for a Taman Villa, USD95 for a Batuan Villa, and USD120 for an Ubud Villa. Rates include breakfast for two people and WiFi internet. Taxes and service charge totaling 21% are additional. Internet rates are valid until March 30, 2013. 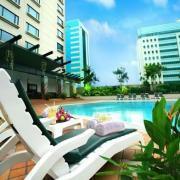 Spend the weekend at the 4-star Menara Peninsula Jakarta Hotel for as little as IDR725,000 nett (USD76) per night. The quoted price is for a Superior/Deluxe Room including buffet breakfast, internet access, mini-bar drinks, late check-out, and 21% taxes and service charge. This is the “Weekend Promo Rate” and is valid for check-in Friday to Sunday until December 31, 2012. 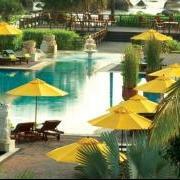 Save 20% off best available rates at the luxurious Sheraton Senggigi Resort in Lombok when you stay at least 3 nights. After applying the discount, rates start from USD84 for a Superior Room or USD100 for a Deluxe Room. Rates include breakfast for 2 people. A service charge and taxes totaling 21% are additional. The “Resort Offer” is available through January 5, 2013. 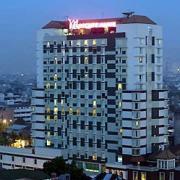 Stay at the modern Harris Hotel Sunset Road in Bali for as little as IDR555,000 (USD60) per night. The “Simple Deal” promotion is a room-only rate for a Standard Harris Room inclusive of all taxes and service charge. Rates include free WiFi and welcome drink. Up to 2 children under the age of 12 can share the room for no additional charge. Prices are valid through December 31, 2012. The four-star Mercure Jakarta Kota Hotel is offering rates as low as USD54 per night for a Superior Room with free internet access. 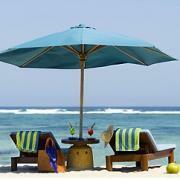 Other “Hot Deals” rates are USD60 for a Deluxe Room or USD64 for an Executive Deluxe Room. All rates are subject to service charge and local taxes totaling 21%. 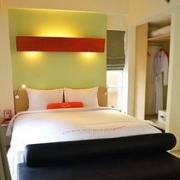 This is an on-going promotion and quoted rates are available for stays through December 31, 2012. Save 15% off best available rates with the “Weekday Promotion” at the luxurious Angsana Bintan Resort. After applying the discount, rates start from USD178.50 for a Superior Room or USD210 for a Deluxe Room. Rates include breakfast for 2 people. Taxes and service charge totaling 21% are additional. This is an on-going promotion and available until further notice. 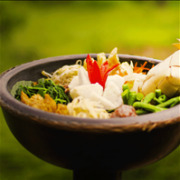 Learn the art of Indonesian cooking at the Bali Asli Restaurant & Cooking School in Bali. Led by a trained chef, the hands-on class will teach you how to make traditional dishes like grilled fish, fern tip salad, duck wrapped in banana leaves, and peanut sauce. The course also includes transportation, lunch, and a market tour or local experience. 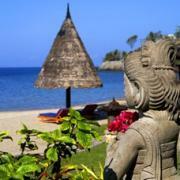 Prices start from IDR800,000 (USD85) per person.